It’s the digital era – every kid on the block has a new phone with better features than the last one. It’s not about ‘any phone that works for calling’ but in fact, there are a thousand other characteristics that set the phones apart these days. The market is huge and the competition is stiff and that’s when it becomes important to know which phone performs better (and not just from what it claims but from real experience). While I was thinking about what phone options are available right now for people with a budget, say about 20K? I got my hands on a device with just the features I was looking for! As a blogger and influencer, I need a phone with great performance, camera as well as case and that’s just what I got. 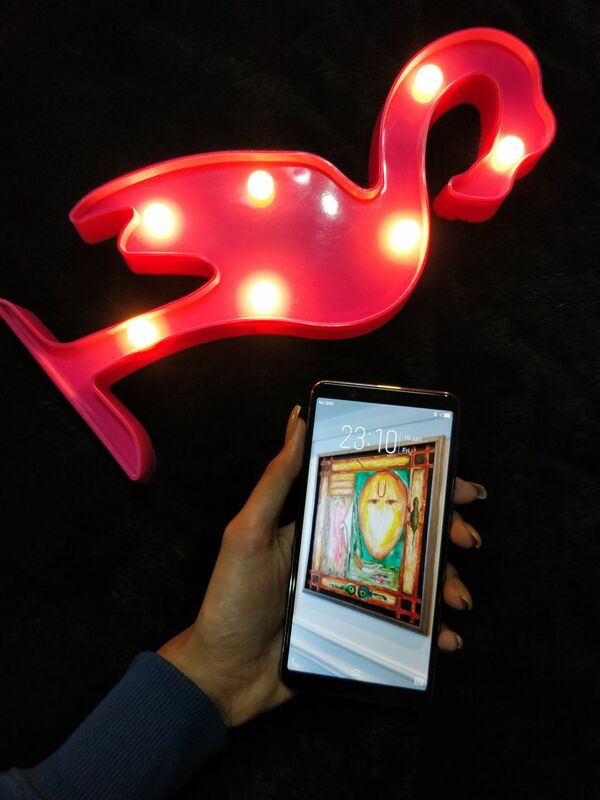 Whenever we go out to buy mobile phones, the available colour case options are mostly the same; black, white, silver/grey, gold or rose gold and rarely do we see a mobile which captures our mind and our heart. Usually, I go for the blacks because it’s classic, dark and doesn’t get too dirty but now I have found a smartphone which, not only has a great energetic blue hue but has a power packed performance too. 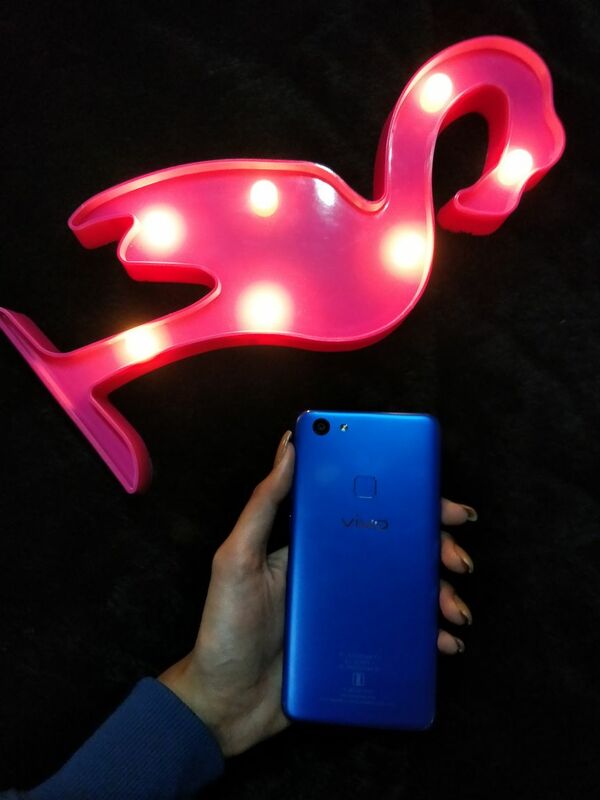 Vivo has launched a new smartphone in the V series, Vivo V7 in energetic blue. 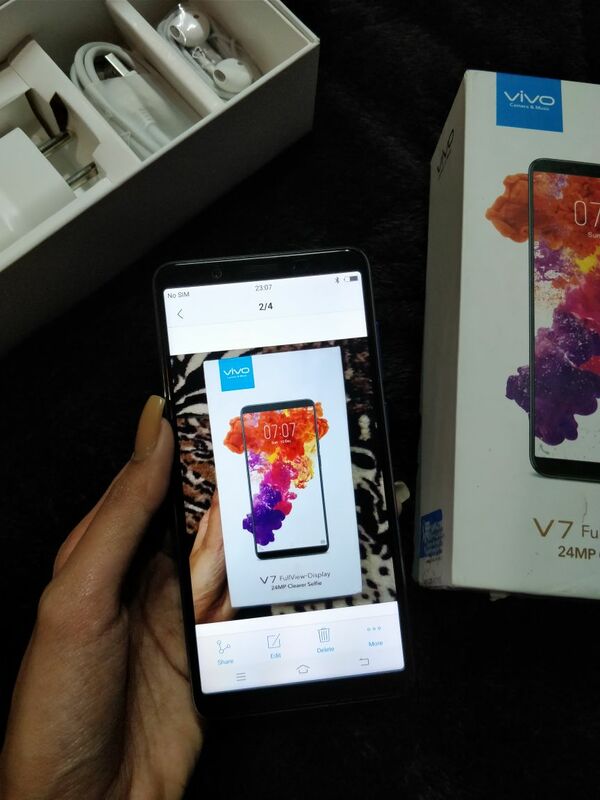 With a 5.7” full view display and 18:9 display screen, V7 lets you express your individuality in a larger than life screen and thanks to the Face Access technology, unlocking the device is never a hassle. 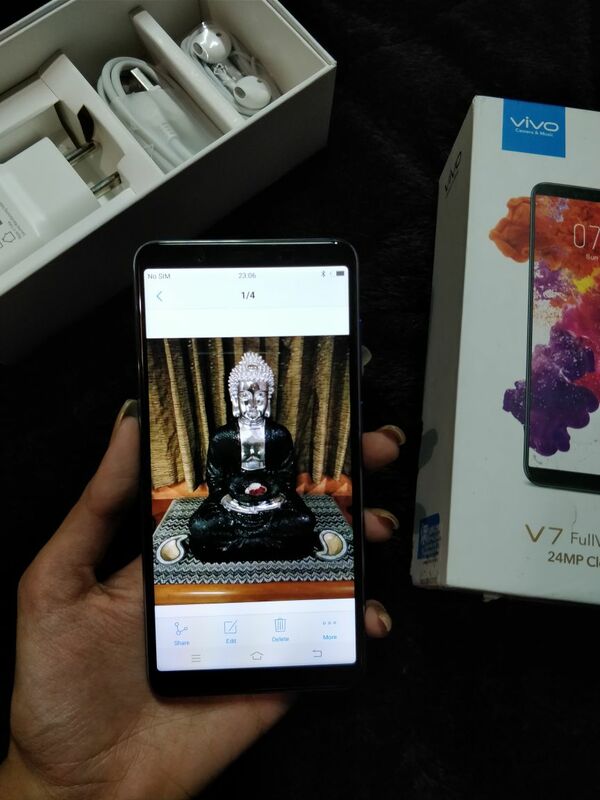 Coming to the part which is most important to us millennials, the camera, V7 boasts of a 24 MP front camera and a 16MP rear camera with DSLR-like images. 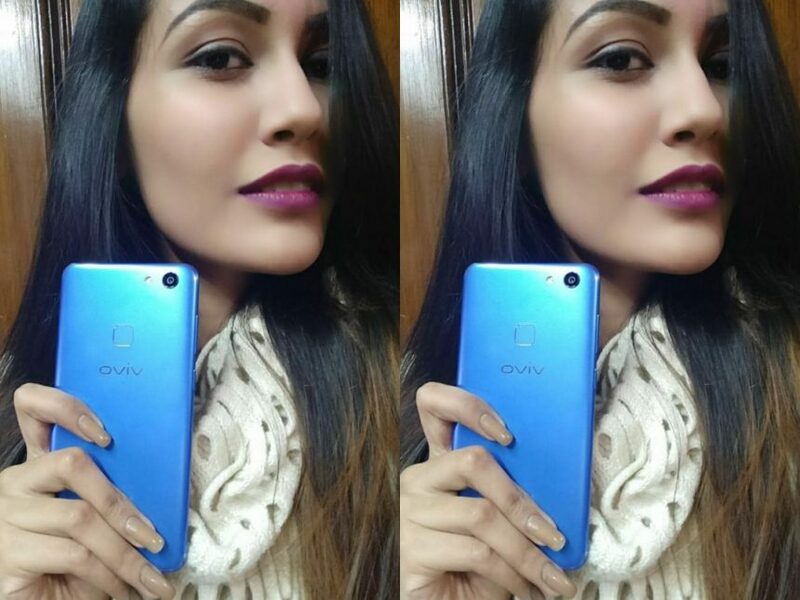 The camera is equipped with Face beauty 7.0 so, you can capture perfect selfies in a single click. There’s no need to click 50 when you can get the perfect selfie in 1 shot, but even if you do try, you have an expandable memory of up to 256GB so you can save as many pictures as you want. The Quad-core processor with 4GB RAM and 32GB ROM ensures a smooth functioning of the smartphone without any lag. You could go through the day working on multiple applications without having to hit pause because this phone’s got your back. Even with multiple tabs open (yes we bloggers use 10 apps together all the time! 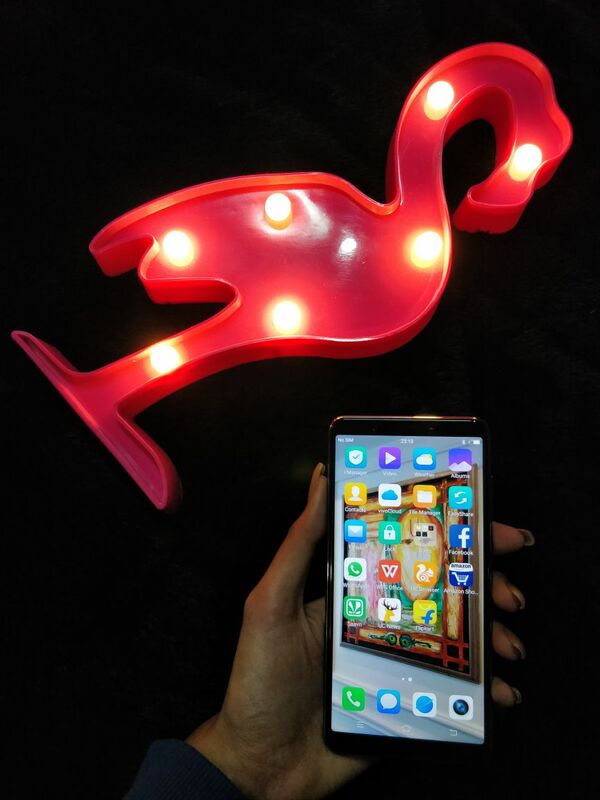 ), the phone did not lag – so feel free to shop, work, play together! Isn’t that the dream? Music is the one thing which I cannot live without, clichéd I know but it’s true. 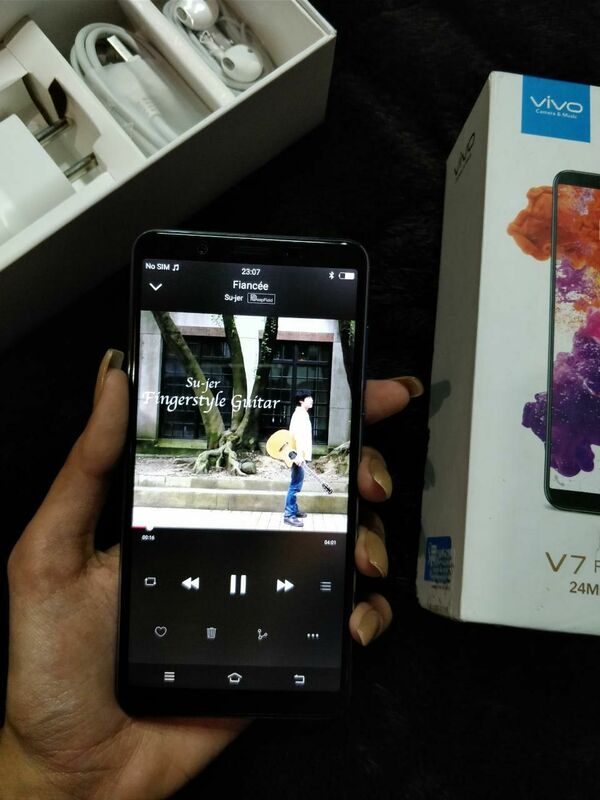 Be it a shoot or a house party or me just chilling with Me, myself and I, music is one constant I can’t let go of and Vivo took care of that too, with a stylish UI for the music player and great sound quality the V7 surely came to play. And, play well. Another kickass feature is its 3000 mAh battery which lets you go through the day without having to tag a power bank or its charger. So, you can send emails, play music, click tons of selfies, use social media handles and do even more without having to wonder about the battery life, or storage, or lagging. Too good to be true, isn’t it? 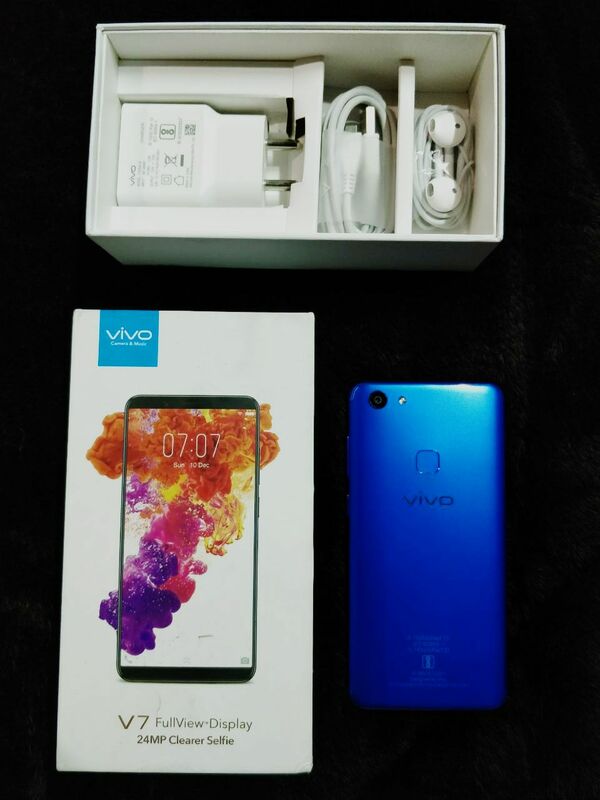 And coming to the spec that most intrigued me about this phone, the gorgeous energetic blue colour! Blue is my favourite colour and who knew I could match my outfits with my phone all day, every day. My go-to accessory you ask? Ahem ahem, you know it already! Talk about looks and personality, all-in-one, can I date this phone? All pictures used belong to us and cannot be used without our explicit permission.